Alzheimer's disease and other neurodegenerative diseases are today one of the greatest challenges in health research. For three days, our symposium will serve as a forum for an interdisciplinary exchange on the pathology of Alzheimer's disease with a focus on amyloid aggregation, autophagy processes, prions and as aids to new diagnostic features on biomarkers. The symposium will bring together both young and leading experts from basic to clinical science to highlight and reflect on current research and discuss new opportunities for diagnosis and treatment. Recent advances in molecular biology, genetics and imaging have led to exciting new discoveries, research opportunities and therapeutic approaches. To facilitate progress against this multi-faceted disease, it is important to encourage exchanges between scientists who look at and examine the pathology of Alzheimer's disease from very different perspectives. In addition, with this symposium we would like to give early-career researchers a comprehensive overview of the current state of knowledge by top scientists. The concept of our symposium therefore is that all speakers present their respective topics in an easily comprehensible way before presenting their complex research results in detail. Our goal is to enable the participation of scientists of all career levels and to promote an active discussion. We encourage this with a poster session, guided poster tours with discussion groups led by selected speakers, and student lectures by young scientists selected from their submitted poster abstracts. Due to the great social interest in Alzheimer's disease, Prof. Hans-Ulrich Demuth from Fraunhofer, IZI will give a lecture in German in the early evening of the first day. This talk will be open to the interested public too. 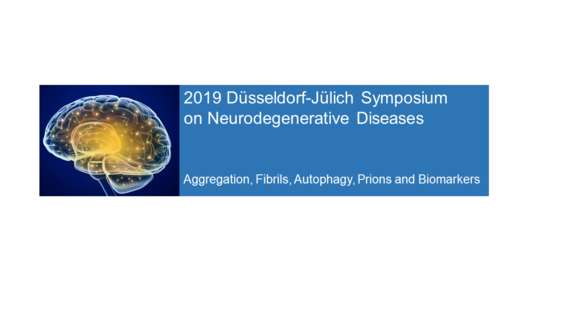 Come with us to Düsseldorf, the beautiful state capital of North Rhine-Westphalia to discuss ideas, develop research strategies, build cooperation and networks to combat dementia successfully. The Symposium is generously supported by the Joachim Herz Stiftung and Alzheimer Forschung Initivative e.V.